hd00:11Blue cleaning gun. Application of disinfectant solution. Washing of premises and equipment in food industry, supermarkets, warehouses with food and other similar places. hd00:23Blue cleaning gun. Application of disinfectant solution. 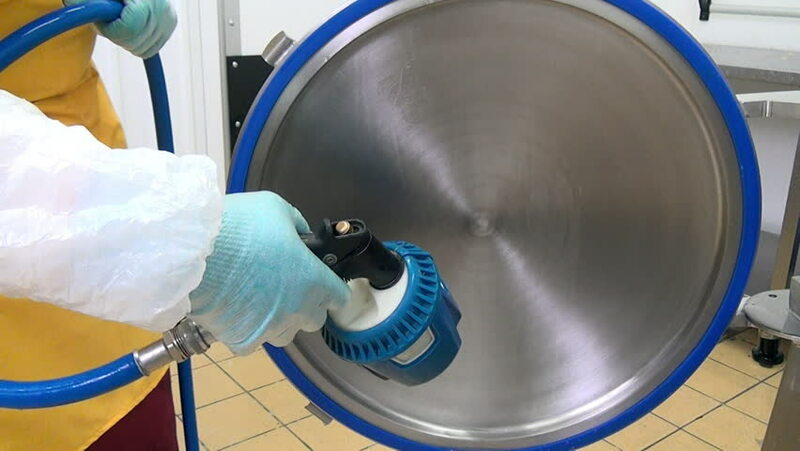 Washing of premises and equipment in food industry, supermarkets, warehouses with food and other similar places.